« Day 160.5 in Beijing: Day One of The Smart Air Filter. Day 161 in Beijing: Wine Labels Done Right…And Wrong. Jill and I went shopping a few days ago. 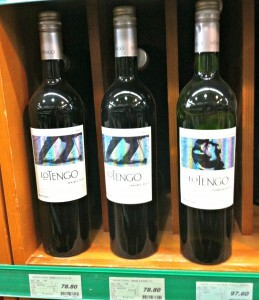 We were checking out the wine aisle and these two wines, both with the dancing theme on them, caught out eyes. One, we thought was incredibly classy, elegant and professionally done. The other, a bit over the top. I’m guessing you can decide which one we liked.